An Australian found it the hard way that you’re not supposed to fall asleep outside when you’re in the northern hemisphere. For most Australians, passing out outside after a night of drinking is no big deal. Because local weather conditions tend to be more forgiving, they don’t have to worry about getting frostbites or suffering from health conditions brought about by extremely cold weather. However, an Aussie woman travelling around Canada seemed to have forgotten that Australian and Canadian temperatures are quite different from each other. She got frostbite all over her fingers after falling asleep outside. But despite her bad experience, she was able to see the “silver lining” through it all. 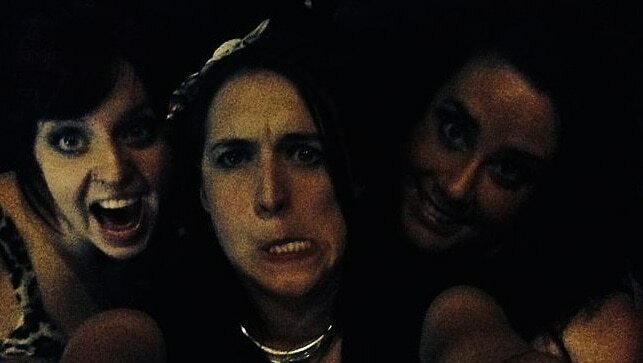 The Australian, who chose to remain unnamed, admitted that she was “black out drunk” after having a night out on the town with friends. By midnight and after consuming lots of alcohol, she had no phone, money, or any idea where she was. And by 5:45am, she was found in a ball trying to sleep. Those who have found her have immediately taken her to a hospital after noticing that her fingers have turned purple. A nurse at the hospital told her that while she has a chance of keeping her fingers, she was also at a risk of losing her hands if everything didn’t go according to plan. Her specialist Dr Randall Friesen—whom she refers to as “Dr Freezin”—also informed her that her fingers would blister and swell. After that, they would have to pop them open to start the healing process. The Australian said the pain in her fingers was unbearable and the only way she could endure the pain was to take opiates. Her hands had gone from having “frostnip” to having third and fourth degree frostbites. A few days later, Dr Friesen returned to cut the blisters on the Australian’s hand. According to her, it wasn’t a very good experience. “With my hand over a metal tray, he cut my blisters with a scalpel. Puss went everywhere. I think I even got the hospital curtains,” she recounted. The Australian is currently in recovery and can use her hands again. 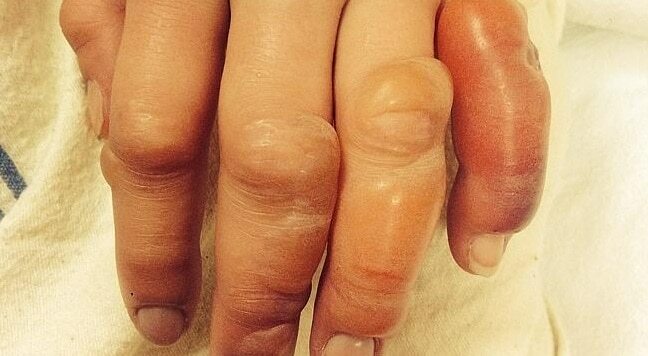 The doctor told her that she will be able to keep all of her fingers. However, he also warned her that she could still lose her left pinky and right middle fingertip. Despite this possibility, the Aussie remained optimistic. “If I lose them I want to make a sweet custom made prosthetic. Just like Margot Tennenbaum in The Royal Tennebaums,” she said.